Today i wanted to tell you guys about HiSmile. HiSmile is a teethwhitening kit with a bit of a difference, it is peroxide free. Peroxide is the main cause of sensitivity if you have tried other teeth whitening methods before and boy does it make a difference. If you already have sensitive teeth then you may know my pain! Trying all these different products to find you cant use them after a few tries because they have made your teeth so delicate. Don't forget about the many other nasty effects peroxide can have from stripping tooth enamel to bleeding gums. So with this kit you get a small system with three syringes of the gel formula. The system works almost like a gum shield. It is led light based and an application takes 10 minutes but you do have the freedom to leave it in slightly longer if you wish to. You simply dispense the gel evenly around the gum shield and then pop it in your mouth, make sure its nicely lined up and then press the button to start your light and timer. I find this formula so gentle you can use it day after day! Afterwards it is really easy to clean. The gum shield comes apart from the led light and you simply rinse it clean and leave it for your next application. I began seeing results after the third application, they say the maximum results come between 6-8 applications and i agree. If you buy the set the three syringes will easily do 6 applications, more if used sparingly. Wow i really do love this system my teeth looked amazing. The only downside would be for me i didn't feel like the results lasted very long. I would love to know if anyone else has found a good whitening system that works for them and lasts! So if you couldn't guess by the title, I am loving Essie at the moment. The quality is amazing, you really can tell the difference! With Such a beautiful range of colours the quality never falters and I have not had a bad one yet! This is a mix between a light pink and a lilac. Put this colour on with a tan and it looks sensational! All of the Essie colours have great lasting power and this is a perfect colour for spring and summer. I also get the feeling it makes my fingers look slimmer which is always a bonus! This is another summer favourite for me. This colour is a light pink and also looks great with a tan. Its more subtle than go ginza and less in your face! Doing this post has also made me realise I have a thing for pinks. This is a perfect colour for winter. Its a purple-Red which appears rather dark but with the light you can see the shades of purple and red through it. Although i said this colour is perfect for winter, it also looks amazing with a nice tan and is certainly slimming on the fingers ( I have chubby fingers so anything that slims them down i will take!). Perfect for the subtle no polish look or give it a few coats and the end result is a nice blush colour. This is my go to polish when i don't want anything too bright or eye catching. Its perfect if your going for interviews or something important which does not call for bright hot pink! It really gives your nails a nice and healthy shine. This is a must have for anyone who hates doing their nails, don't have the time or if your one of those who instantly needs the toilet once you have finished your nails and then spends about 20 minutes trying to pull your jeans up and down like a ninja! Pop this on at the end and it takes at most 20 minutes for your nails to be completely rock solid dry! To help it along and make the process even faster i pop my hands in a sink of cold water for up to two minutes and this saves even more drying time! This Top coat truly makes your nails look and feel like you've just been to the salon for a shellac manicure! It does take a little while to dry but if you have plenty of time on your hands then its well worth the wait! It keeps my nails nice and strong and i don't get any chipping for at least three days and these days that's a miracle! It is designed to go on top of Essie polishes so other brand colours i have used underneath don't seem to have the same end result, but if you already have yourself a nice collection of Essie colours then your good to go! Those are a few of my favourite and i'm sure my collection will carry on growing to my partners dismay! Let me know what your favourites are (that way i can go and have a look). Send for help, its a dangerous addiction! Yes that's right iIwas very lucky and for my 21st birthday i was given rose gold GHD's and my goodness they are beautiful! Men would not understand the pleasure of a good looking pair of GHD's. These are just stunning, especially if you love anything rose gold like me, I think its a budding obsession! I received mine in a lovely set with a travel bag, a guard and snazzy GHD hair clips. It is a beautiful gift if you are thinking of giving this to someone. Apart from their looks however they are just the traditional model. So if you are looking for something particular that is different to the traditional these wont have it. But if you love the traditional GHD's like me then these are a perfect upgrade, if also like me you've had yours far too long now! I absolutely adore mine and can assure you these wont disappoint. They make my curls last forever and they straighten like a dream. It feels like a treat every time I use them! Or if you have this model and if you love them or hate them! Today i felt like a good chit chat, so I thought I would talk about my experience and feelings towards moving to another country. It's scary... to begin with but overall, my goodness it was worth it. 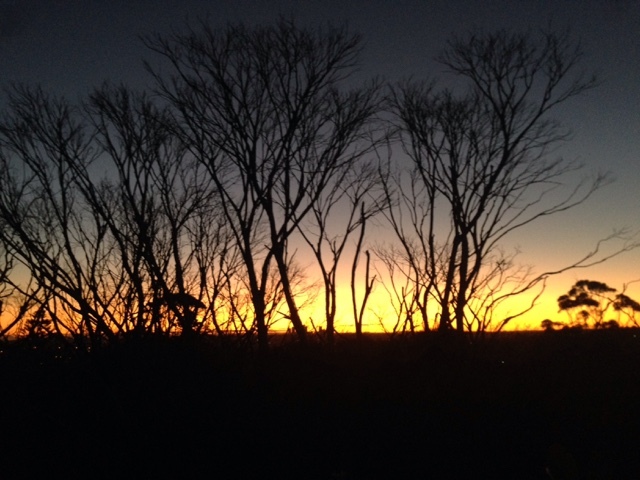 So I moved from Southampton, England to the northern beaches in Sydney, Australia. It was an extremely big change. Southampton will always be my home, but I got fed up of the cold and the rain, I don't think I could cope with the cold any more! I now live in Sydney, I can go to the beach after work, I don't have to work weekends any more and overall im just better off here. Moving to another country for some can be such an easy transition! But unfortunately i am not that brave. I am someone who hates change and it can be difficult for me to adjust. So here are a few things i tried to make it easier and an enjoyable experience, which is what it should be! This is something i did a few times. I made a list of all the pro's and con's of moving to another country. I find having it written down really organises my thoughts so I'm not all over the place and doubting myself. Because sometimes thinking about things with messy thoughts sends me into a panic frenzy! for the first few months plan exciting things in your new home country to ease yourself in. For example when i first arrived in sydney my boyfriend and i planned a few touristy things to keep away the nerves and worries! It really helped us transition into the new lifestlyle and soon enough it felt like home. BRING A FEW HOME COMFORTS! Now this I think is really important. Whether its your favourite candle, food or even pieces of home wear this made a real difference for me. I packed my favourite food, favourite candle and a few home pieces to scatter around the place once we had settled and it really helped to calm me being so far away from home. It doesn't have to be big things, sometimes its the little things that we really miss and can make all the difference if they are kept with you! More often than not people drift away from friends once they move away. It's hard with time differences and busy schedules but always make time for them even if its just an hour a week. When your feeling unsure and lonely talking to your friends can really keep your mind settled and on the right track. I always make a set time each week so we all know to keep that time free! And you can even do a conference Skype call to fit them all in at once. Grab your wine and some goodies and you will barely feel like you've left! As my mum keeps saying its an adventure and if we decide we don't like it or miss home too much, home will always be there to go back to. And she's right and if you do decide to pack up and go home, maybe trying somewhere new will give us a fresh perspective on our homes that maybe we need sometimes. I would love to hear other tips and advice and even your moving around the world stories, its such an exciting but scary time and maybe if we all share it makes it that bit easier for someone else taking the big leap. Blimey I can babble on! I feel like I've caught the blogging bug, I'm loving it so far. So today I'm gunna talk about a few of my favourite make-up items of the moment! The Urban Decay Naked Skin foundation... wow. Although a little more pricey this foundation is well worth it. I would say it gives a light to medium coverage which for me is perfect, Barely feels like you have foundation on, covers all of those red spots and blemishes but allows the natural best bits to show through like your freckles! This foundation always gives me a sun kissed glow ( I'm naturally as white as a sheet so this a massive benefit). It has a slight shimmer to it but for me I don't mind this, I don't feel like it's obvious and if your in the sun it makes you look healthy. This foundation photographs perfectly however this brings about the only negative for me and that is no SPF! while not a big deal, I can just slap some on before the foundation, it would have been nice to have it included especially living in Australia, SPF is a must at all times. I cannot recommend this foundation enough and your money will go a long way. Mine has lasted forever! That Brings me onto my next favourite. 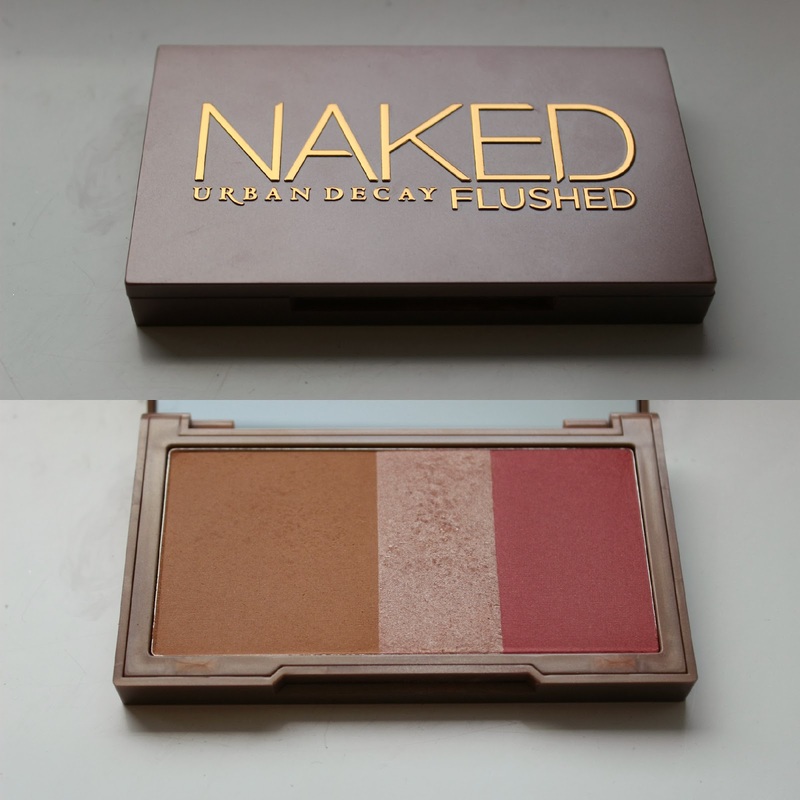 The Urban Decay Naked Flushed palette. A bronze, highlighter and blush all in one small palette, perfect for travelling! all three have been picked to perfectly compliment each other and my goodness they really do. I love the bronzer, It's perfect for contouring or if your pale like me I like to lightly dust this all over my face just to give me a bit more colour (watch out there is a slight shimmer, don't go too crazy!). I like to use the highlight on my cheekbones, cupid's bow and brow bone, and I find with most highlighters if you put it on your cupid's bow it will last an hour or two and then it's gone, this one certainly has more lasting power, All three are super blendable and extremely pigmented so don't be too heavy handed. The one negative I have is that once you've swirled the bronzer a few times it ends up all over the palette and then soon enough you have bronzer mixed in with highlight, so its one you have to make a very conscious effort to keep clean. 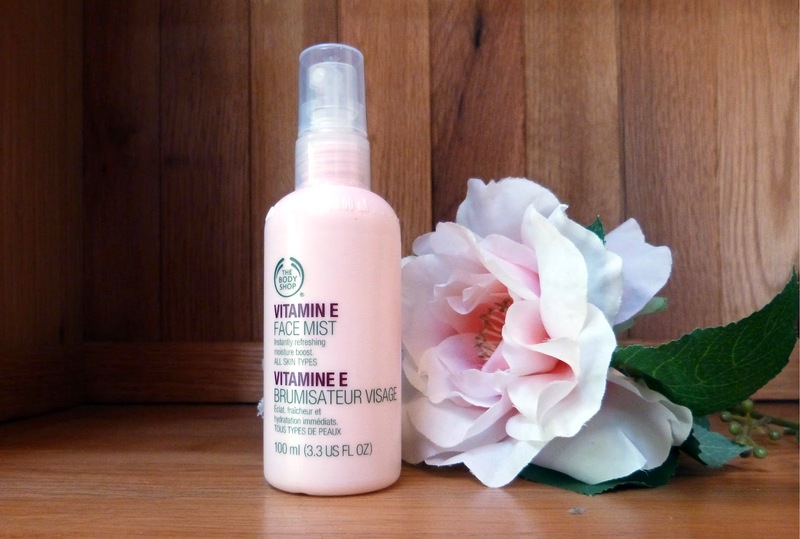 My last favourite for today is The Body Shop vitamin E face mist. I use this as a toner, pick me up, make-up setter, make-up refresher and so much more. This product is such a little multitasker, getting your worth out of it is not hard and its perfect for travelling if you want to cut down what your taking for extra shopping space. It's so refreshing to spritz on before make-up and I also find that it helps my make-up to glide on nicer and sit better and last longer overall. I't makes my skin feel healthy and like it's getting what it needs an added bonus is that its super easy and there are no excuses for not giving your skin that quick spritz. If my body is feeling a bit dry I also like to spray it on my arms and legs and rub it in, it makes my legs look healthy and moisturised ready for a day in shorts! Let me know what your favourites are? I love finding gems that becomes staples for me. Let me know what you think about my favourites, if you hate them, love them or are going to give them a go! Although a bit more expensive this Ecoya sweet pea and jasmine candle is too die for! It's a sweet floral scent that is refreshing and perfect for summer burning, if it's not stupidly hot where you are. The bigger ones last between 40-50 hours of burning time and the glass jar is perfect to store make-up brushes, stationary or anything else you could think of afterwards! whilst I cannot get Yankee candles over here I have savoured my favourites until my next trip back to England to stock up on more ( my poor bank balance, once I go over my baggage allowance). This honey and spice is the perfect winter scent. Put on your favourite movie, shut out the cold and rain and burn this and it is heaven! It is the perfect amount of sweetness that it's not overpowering. My Boyfriend even loves this scent, and he usually hates candles. So it's a perfect in between scent that will win over any man-egos against nice smelling candles! I cannot provide a picture of the actual candle itself but the Catori coco-lime candle is another one of my favourites. This is another scent perfect for summer, It reminds me of being being on holiday, sat on the beach enjoying a nice cocktail... hmm I wish! One thing I love about Catori candles is that once burning you can use the wax as hand oil or massage oil which i think is an amazing benefit and it leaves you feeling relaxed, nourished and smelling amazing. You can follow Catori candles on Instagram. They are soon going to be available online, but for now you can purchase them in the manly market if your so lucky as to be in the area. I hope I helped satisfy a few noses with new scents. let me know some of your favourites, and if you live in Australia help me out! let me know where you get your candles from, I'm finding it hard so far. since I've decided to create a blog I should probably tell you all a little about me. I am from Southampton, England however a year ago i made the biggest decision to date ( I'm only young! have lots more to come) to move to Sydney, Australia with my boyfriend of nearly 6 years now and my family. you may be wondering how old I am being in a 6 year relationship well.... I'm only 21. Living in Sydney has been a big change for me. I love everything beauty and fashion related however over here it doesn't seem to be such a big deal. People walk around in bikinis without a trace of make up and a towel slung around their neck. I haven't seen a single person wearing a bold red lipstick since being over here! I really just wanted somewhere, where I can talk about all the things I love so I don't feel so far away from home. Its such a different lifestyle over here don't get me wrong it's amazing over here. Maybe I'm too English!